There are several roofing materials, and the roof to be used can be determined after a careful analysis of the roof cost, age of building, and the maintenance expenditures. Metal roof is one of the commonly used roofing materials with a life extending to over fifty years. There are many types of roof coverings. The most common types are: asphalt and fiberglass shingles, wood shingles and shakes, tile and slate, metal roofs, and bituminous membranes. Let’s look at the key installation issues for each type and considerations for selecting materials most suited for your application. There are numerous varieties of roofing materials that can be used, or even the existing materials can also be utilized. The owner has to make a choice considering numerous factors, including cost, useful life, maintenance costs, and environmentally friendly. Before making the selection, the roofing material life cycle cost should also be taken into consideration. Some materials may be expensive, but need lesser maintenance, and are designed for a long life. An asphalt roof may last 20 years, and a metal roof may have a life exceeding 50 years. The age of the house also needs to be considered while deciding the roofing material. However, the majority of homeowner desires a roof that is economical, involves less maintenance, and has a long life. Careful selection of colors that do not absorb much heat can reduce the energy expenditures. 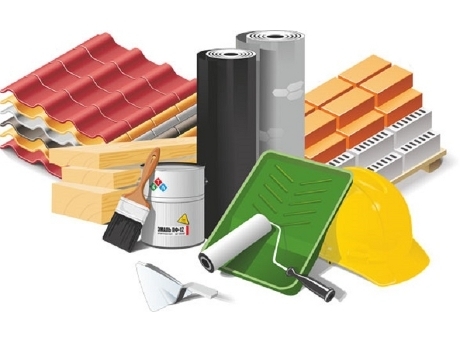 There are several options for the selection of roofing materials, including asphalt shingles, concrete tile, and metal roofs. Fiberglass and asphalt shingles are the most common. Because their effectiveness depends on water running past each shingle quickly, they should not be applied to a roof with a slope less than 3:12. Whether you choose asphalt or fiberglass shingles, you should compare lifecycle costs when making a roof material decision. 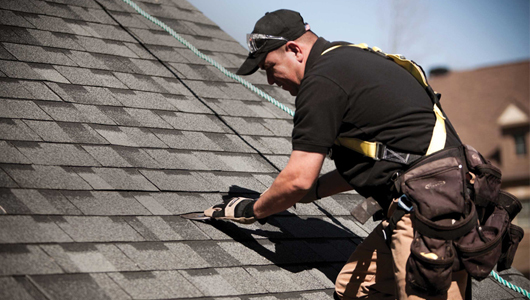 We recommend you always select the longest lasting shingle possible. Like all roof materials, fiberglass and asphalt shingles need to be carefully integrated with the underlayment and flashing systems. Wood shingles and shakes are typically made from red or white cedar because these varieties of wood have a greater resistance to decay and also have low shrinkage. Decades ago, contractors would always fir the wood shakes up off the roof. Unfortunately today, we often see wood shakes nailed directly onto the underlayment. We know that some water will pass through the shakes. If a wood shake is allowed to stay wet, the shake will get musty, and a fungi, or mold will grow within its substrate. This fungal decay can break down the shakes and significantly shorten their life. There are techniques and products on the market that allow us to create an airspace between the wood shake and the under lament; this allows the shake to dry more affectively after rain or snow melt and last twice as long. Tile and slate are products that can last a long time. A critical consideration for these roofing materials is a properly designed and installed underlayment and flashing system. As with all roofing materials, wind driven rain and snowmelt will pass through them. In addition, because clay and concrete tile absorb and hold water, an airspace between the tile and the underlayment is critical. This air space helps protect the entire roof system from moisture and mold related problems. Structural and non-structural are the main metal roofing materials that are being used for residential purposes. Common reasons for choosing a metal roof is for long life, aesthetics and low maintenance. In cold climates, it is important to manage the snow that can accumulate on a metal roof and keep it from sliding off and causing damage or injury. We recommend that there are ice-breaks and snow-breaks along the roof edge. Local building codes may also require that lightening rods be installed for metal roofs. Structural metal roofing materials are directly attached to the lathe boards, and do not need solid covering beneath. The roofing material provides firmness and reliability to the roof structure. The non-structural metal roofing requires a solid layer below for support. Metal roofing has been developed considerably during the last two decades, and modern technologies have been introduced. The strength and look of these roofing materials have been enhanced significantly. The foremost forms of metal roofing techniques being used are the standing seam and the shingles. The installation process of the metal roofing may be complex, and need to be performed by a professional only. Metal roofs are robust, a hindrance to fire, and the maintenance cost is extremely less. The energy efficiency of metal roofs is high since metal is a good reflector of heat. Studies have revealed that the metals absorb approximately 35 percent lesser heat than the asphalt shingles. Steel roofs are environmental friendly, since these are also made from recyclable material. Since the weight of the metal roofing materials is not much, these roofs can be mounted on the existing roofs. Thus, the excess material will neither be required to be removed nor will be required to be disposed in landfills. The saving on the labor cost can be enormous when the existing roofing material is not removed. Concrete tile is one of the popular roofing materials. Shingle, concrete panels and lightweight tiles are produced from several fiber reinforced cement materials. Some of these are covered with enamels, plastics, or thin metals, while some include recycled materials. The characteristics of concrete tiles differ from each category, but are normally durable, efficient, need less maintenance, and unaffected by insects. Some concrete tiles look like wood shakes, or the clay tiles. Concrete is costly compared to some of the other roofing materials. The earlier categories of concrete tiles developed numerous problems related to the change of color and breaking of tiles. However, the concrete technology has been improved significantly by the addition of new additives. These tiles are now lightweight and available in numerous colors and styles. 0 Response to "Roofing Materials for Construction"